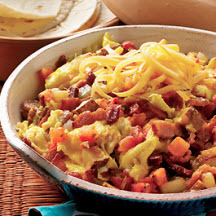 CooksRecipes has quality, kitchen-tested recipes for Southwestern and Mexican-style egg dishes that you can count on for successful deliciousness. Classic south-of-the-border breakfast fare, cheese and eggs ranch-style. 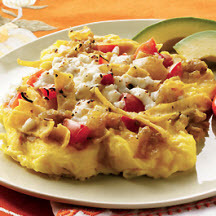 Migas means crumbs. 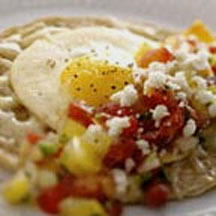 Migas are popular in Texas and can be found on many breakfast menus. Use your left over tortilla chips to make this quick and easy dish.